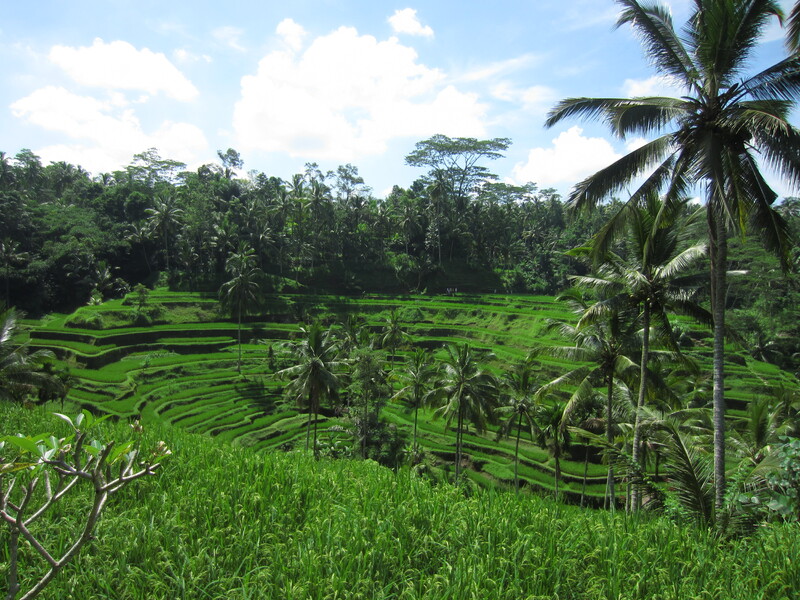 So we got there, and…wait a minute, where are all the rice terrace farms? I can see a lot of bars, and a lot of traffic, are you sure this isn’t Denpasar? 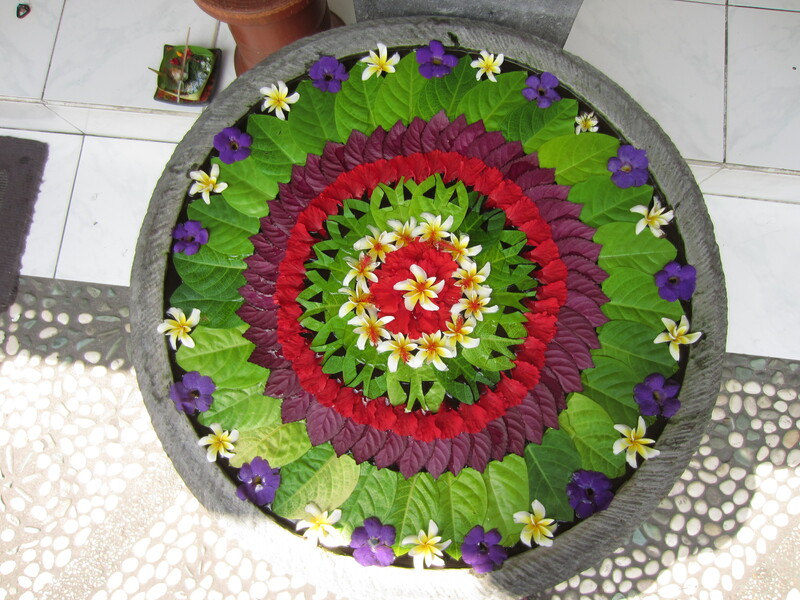 We drove from Sanur to Ubud and all we saw were roadside art galleries selling paintings of the Buddha, roundabouts protected by huge weapon waving warrior statues, and silver merchants. For the whole 45 minute drive, just highway, and shops. Where were the rice terraces? I’ll clarify my expectations about Ubud by saying I pictured something like Kampot, Cambodia. Kampot did have a million miles of rice fields, separated by a sprawling network of spine-shatteringly bumpy dirt roads that no souvenir hunter hath ever traversed. The city had very little tourist presence, never mind a bar street. There, Cindy and I explored via tuk-tuk and motorbike, and just got out there, lost, in the middle of nowhere. Handing out lollipops to kids riding adult bicycles and watching groups of humble, stoic farmers backbreakingly hand plant entire fields of rice. I’m sure Ubud is like that too, somewhere. Within minutes of arriving, Kedak, our driver, took us to a rice terrace. A gorgeous one, a valley of green plateaus, striped with brown snakes of fertile soil, punctuated by soaring palms. Climbing down was slippery and muddy and hard, and I liked it – until a salesman tried to sell us a hat. Stop the trek! It’s a trap! It also happened to lie on the main road, and facing the farm was a battery of souvenir shops and cafes. What kind of farm requires an entry ticket? Further up the road was the conveniently close coffee plantation. There was a short tour of the civet cat cages and the coffee drying and grinding process, then it’s over to the attached café to sample the lovely Bali coffee. It too looked out onto a lovely vista, but I couldn’t help but feel that I was missing 99% of the opportunities to see Bali’s farmland, and I’d just been shuttled to the most popular lookouts. Stop complaining Derrick, why not break away from the tour groups, hire a motorbike and check out the unbeaten tracks for yourself? Well, firstly I passed on the travel insurance, and Indonesia’s drivers have their own unique method of sudden braking, cutting-off, and miraculously avoiding death and traffic accidents on a minute-by-minute basis. Secondly, I couldn’t find anywhere whereby I could hire a motorbike! 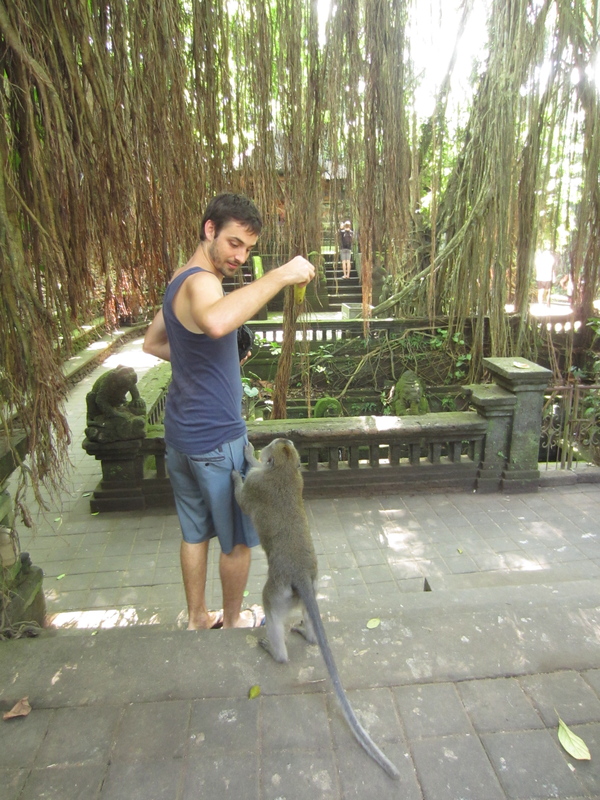 The monkey forest in Ubud was fun, a chance to walk around some jungle paths and feed some cheeky bravado monkeys some bananas. The long-tailed macaques here zero in on the smell of fruit, and are prepared to climb up onto your head to retrieve it. The town itself was criss-crossed with a few long shopping avenues. 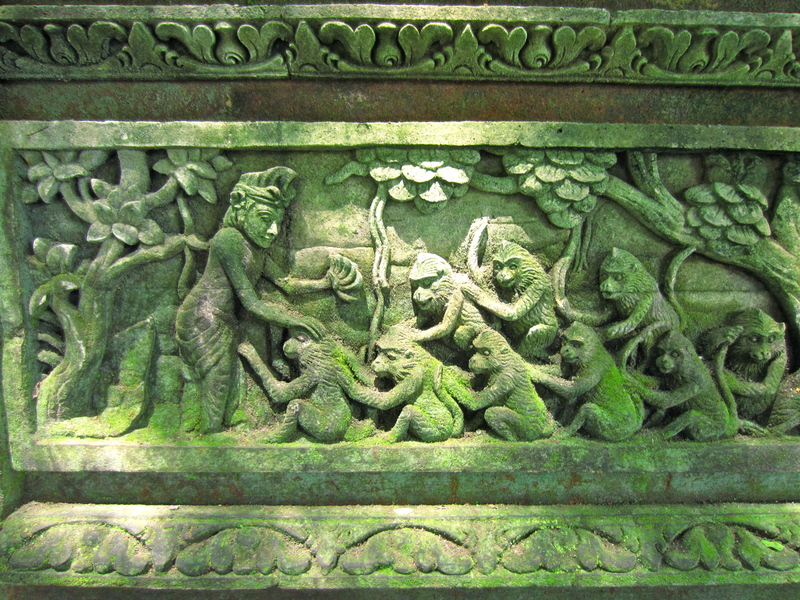 The major trade was certainly not adventure – it was mask shops, batik, fine dining restaurants and surf wear. That inevitably drove us into the backstreets, where I’m pleased to report, the traffic noise died in an instant and it felt much more like the Bali I was expecting. 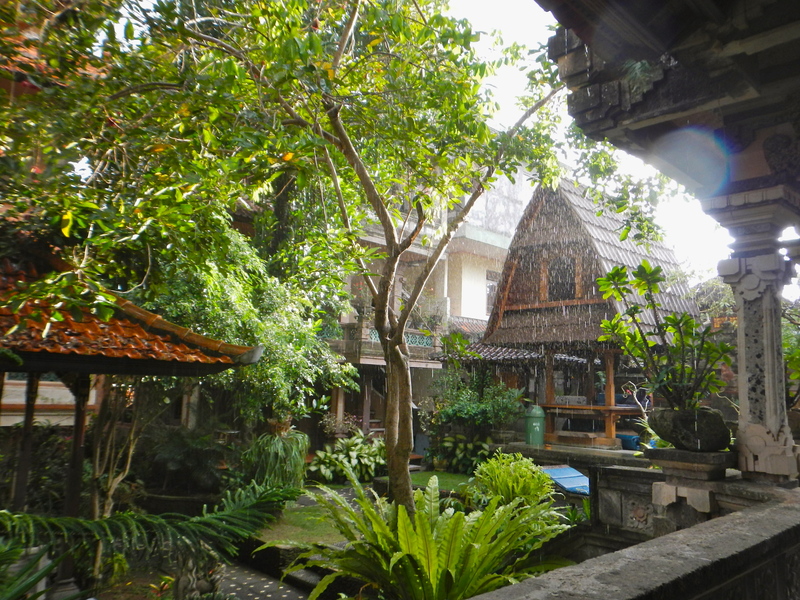 Ubud is a pretty interesting place, in the middle of an expanding tourism boom. Although the city is growing larger and more commercial, I still enjoyed it. You’ve gotta explore and find the corners of Ubud where you feel most at home. Our hotel, an eclectic collection of buildings that looked like temples, stacked on top of each other and linked by bizarre networks of ramps and staircases, was a great place to sit back with a coffee and watch the day pass by.